08.08.2015 - Mobile operator Beeline, based in Uzbekistan, is offering an incentive for any users who buy or switch to a new 3G phone. This offer entitles them to a free 100mb of bandwidth transfer for six months after their purchase, as well as any calls, SMS and data covered by any contract tey take out when purchasing. The offer extends to anyone who buys in the capital city, Tashkent and applies to new phones by any producer. 25.01.2013 - Ucell is increasing administration fees and starting to charge customers who want to change their phone tariff with effect from this week. 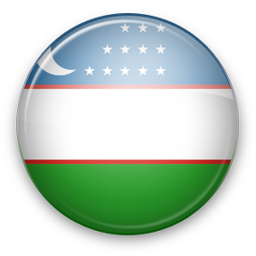 17.12.2012 - Ucell is offering lower priced mobile data roaming for its prepay customers to affiliated networks in Azerbaijan and Georgia. Q: Do you support all Uzbekistan networks? A: We support FE 'Uzdunrobita' Ltd, FE Coscom, Unitel LLC and other networks. If some SMS network is missing please contact us and we will find solution for you. We work worldwide! A: You can find documentation and integration examples on Web SMS Gateway.